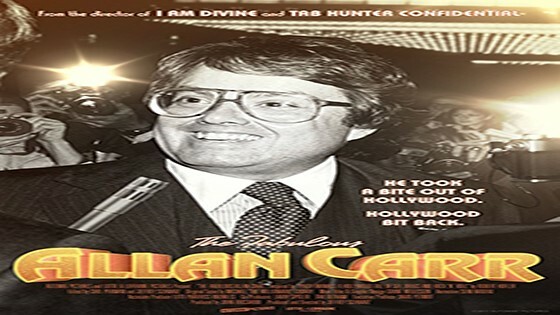 Armed with a limitless Rolodex and a Benedict Canyon enclave with its own disco, Allan Carr threw the Hollywood parties that defined the 1970s. A producer, manager and marketing genius, Carr built his bombastic reputation amid a series of successes including the mega hit musical film "Grease" and the Broadway sensation "La Cage Aux Folles," until it all came crashing down after he produced the notorious debacle of the 1989 Academy Awards. Jeffrey Schwarz, who previously charted the lives of gay icons Divine and Tab Hunter, chronicles the glamorous and flamboyant life of a one-of-a-kind Hollywood legend.